While we are best known for our Nylon Coated Rods and they are our most popular rod, some people prefer something different. 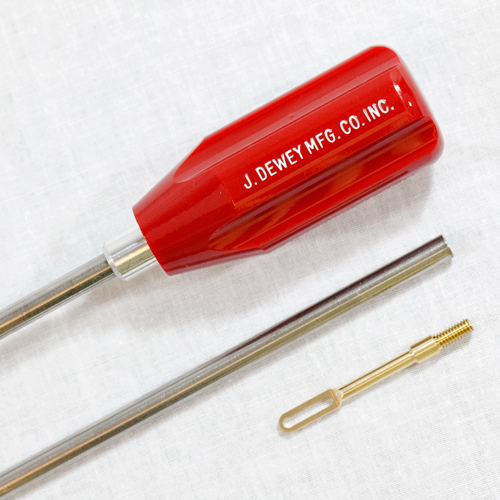 Our stainless steel rod line uses the same ball bearing handle design and these rods can come with an optional brass muzzle guide. All of our Stainless Steel Rods are female ended. The .17 caliber rods have female 5/40 threads and the .22 caliber & .27-.34 caliber both have female 8/32 threads. 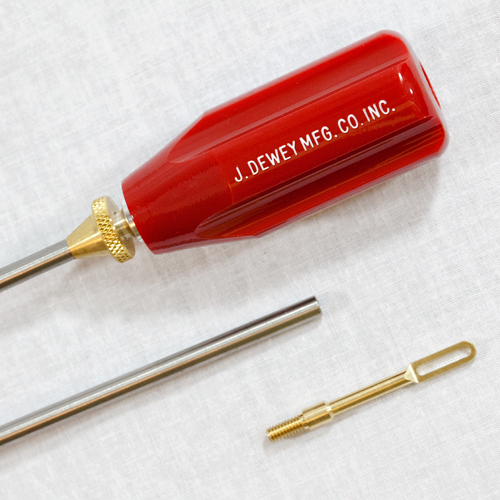 The .17 caliber rods come with a male ended jag and the .22 & .27-.34 caliber rods come with a brass patch loop. 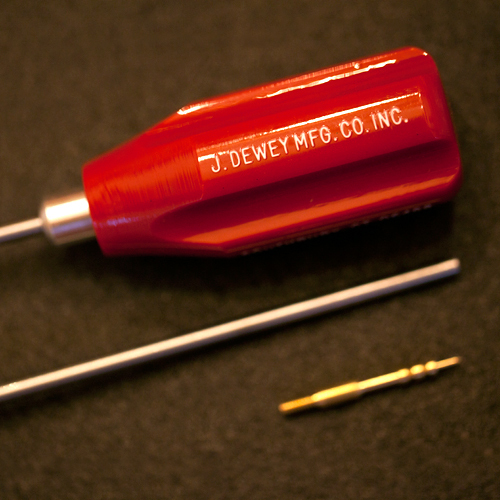 These rods can be packaged in a clear plastic tube with hanger cap for an additional $2.00 each. All rods are of one-piece construction unless otherwise stated.